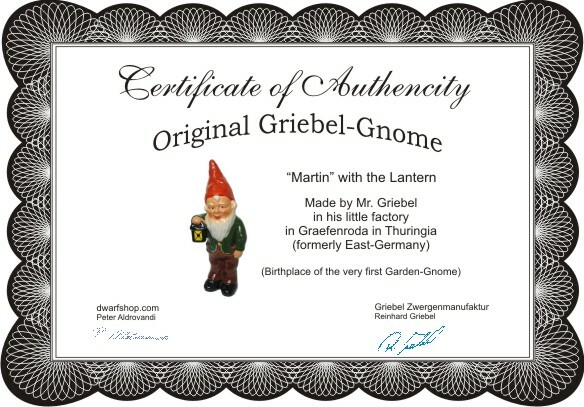 Location: Home » original Garden Gnomes » Garden Gnome Martin ..
Our item's are traditionally made in accordance with old exemples, all of them being produced in the Thuringian town of Gräfenroda in our own little factory. Since 1874, when PHILIPP GRIEBEL opened up his own ceramic-business, every item is HANDMADE and HANDPAINTED with love, which gives each Gnome his uniqe character. The first garden gnomes were made in the town of Graefenroda in Thuringia, Germany in the mid-1800's by Phillip Griebel. Griebel made terracotta animals as decorations and created the gnome based on local myths as a way for people to enjoy the stories of the gnomes' willingness to help in the garden at night. The garden gnome quickly spread across Germany and into France and England, wherever gardening was a serious hobby. 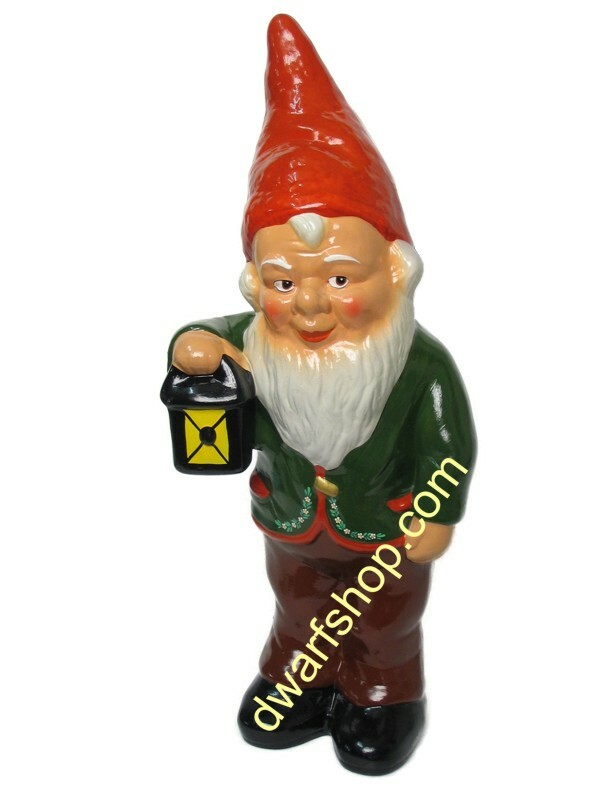 Gnome manufacture spread across Germany with numerous other large and small manufacturers coming into and out of the business, each one having its own particular style of design. WWII was hard on the industry and most producers gave up then. Griebel's descendants still make them and are the last of the German producers, all others having moved production to Poland or China. Traditional gnomes are made from a terracotta clay slurry poured into molds and then the extra is poured back out. The gnome is removed from the mold, allowed to dry, and then fired in a kiln until it is hard. Once cooled the gnome is painted to the level of detail desired and sent off to do his work in someone's garden. More modern gnomes are made from resins and similar materials.